Two going on twenty. 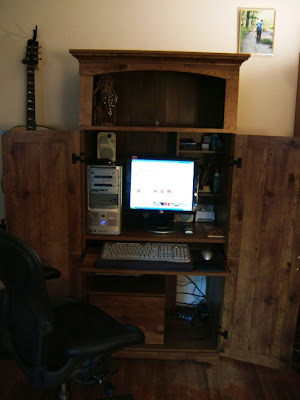 : January 13th, 2008 - The new hutch is here! Got the new desk for the computer today. I already love it a thousand times more than the old one. Now I really can't wait for the new couch. I almost feel like we should have a housewarming party after we get it!